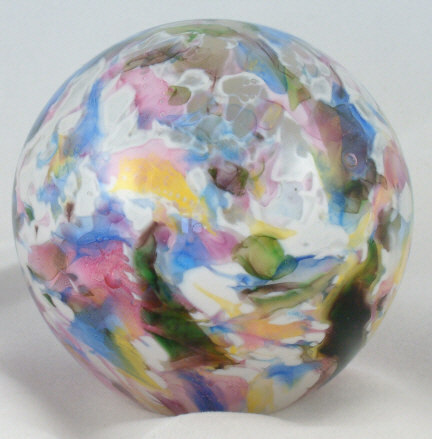 Round paperweight, 7 cm diameter. Bell vase 17.5 cm high, 15 cm diameter. It is very rare to find Sweet Pea in such a large size. 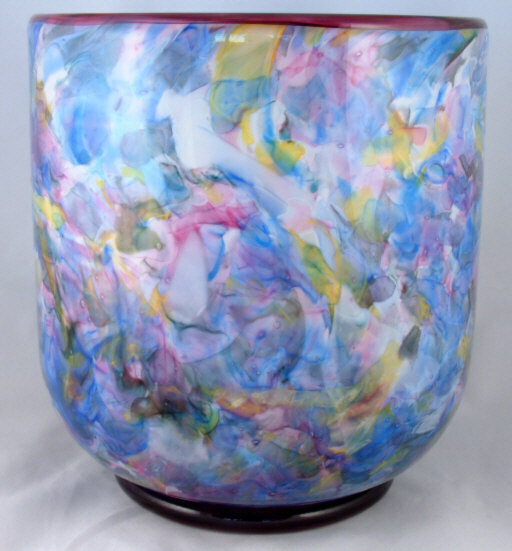 Notice the coloured foot and rim, which is characteristic of pieces other than paperweights.